Those who struggle to find the products that REALLY make a difference in the appearance of neck and facial sagging can finally rejoice. Majestem ™, a plant-cell based ingredient created by manufacturer Sederma, now exists within our upgraded BellEvolve Uplevity Serum (with SynHycan and now… Majestem™!). This addition to our already powerful lifting formulation, takes the product from outstanding to outrageous due to how quickly and effectively it works. Sederma also reports that in just three week sagging neck skin significantly tightened (surface -10.6% up to -56%) and neck folds evened out. 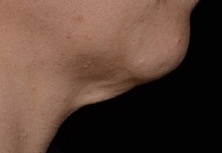 After six weeks, the cheeks visibly lifted and crow’s feet wrinkles smoothed out (surface -11% up to -75%). Our BellEvolve Uplevity Serum can be viewed and purchased directly on our website… simply click here. BellEvolve’s Beautifeye™ Serum contains an award winning active from Sederma… the first active ingredient of its kind demonstrated to have a lifting action on the sagging upper eyelid. Beautifeye™ is a non-invasive alternative to surgery and will fulfill the desires and expectations of women and men around the world. –It lifts the fold of the eyelid at the top, lessens eyelid wrinkles, and crow’s feet wrinkles on the sides by strengthening the dermal structure and increasing its contractile properties. –It fades dark circles and diminishes puffiness at the bottom by consolidating the microvascular network and reducing the pigmentation. Clinical studies have demonstrated the positive effects of Beautifeye™ on the drooping orbital surface and the fold-height, both of which were reduced respectively by up to 61% and 91% after two (2) months of treatment. In addition to this breakthrough action, Beautifeye™ smoothes crow’s feet wrinkles, decreasing their volume up to 34% and depth up to 33% and fades dark circles, lessening the intensity of redness by up to 32% and blueness up to 30% in coloration. Our formulation also contains the powerful peptide Acetyl Tetrapeptide-2. This innovative peptide works at the cellular level to reinforce your skin’s immune defenses and to stimulate the growth of new skin cells. Improved skin tone and texture can be seen in as little as five days. –Lifts sagging, droopy upper eye tissue. 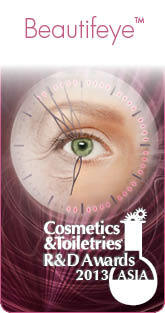 –Reduces crow’s feet and eyelid wrinkles. –Reduces undereye circles, brightens entire eye-orbital area. Packaged in a roller-ball bottle, massage your eye-area with this fabulous product and see a more youthful, brightened and toned eye area. This is truly an innovative product which will provide you with great results the more you use it. Always be consistent with applications for optimal results.